Hi hi hi.... after a week in hospital, now I'm back again. I feel better and ready for create something new again. I can't post my flower clutter actions soon because my older computer has a problem in motherboard. 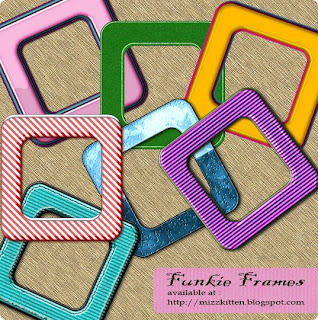 But today I share this new frame collection for you all, wish you like it. Thank you! Your blog post will be advertised on the DigiFree Digital Scrapbooking Freebie search engine today (look for timestamp: 28 Jul [LA 07:00pm, NY 09:00pm] - 29 Jul [UK 02:00am, OZ 12:00pm] ).